Journal Publishes Details On Contagious Bird Flu : Shots - Health News The research paper, which has been under scrutiny for months, publishes the recipe for a potential pandemic: It shows how just a handful of genetic mutations in the bird flu virus H5N1 allow it to spread between ferrets — the lab stand-in for people — through coughs and sneezes. The H5N1 bird flu virus isn't normally contagious between people, but these mutants most likely are. They were created with the best of intentions by a lab that's trying to understand how flu viruses might change in the wild and start spreading in humans. But as word of the experiments got out, scary headlines warned of a "doomsday" virus and a "super-flu." Scientists, public health officials and security experts debated what to do in closed-door meetings, as others made their arguments in op-eds and at public meetings. The publication of this research paper doesn't mean that debate is over. Earlier this year, top flu scientists around the world put a voluntary moratorium on some of their work that's still in effect. And the U.S. government has issued a new policy to try to prevent future crises like this one, though it's still unclear exactly how that policy will work. The man at the center of this controversy is a Dutch virologist named Ron Fouchier. His lab at Erasmus Medical Center in the Netherlands made the mutant viruses. He's struggled for months to get a manuscript describing them published. And now it is finally appearing in Science. This is really a scientific breakthrough — a fundamental scientific breakthrough. And it really opens enormous new opportunities in science. So that's exciting. "I've been asked whether this felt like a real victory. And it still doesn't," says Fouchier. "Because I am still afraid that some governments might be installing more of a regulatory system than I think is needed. And if that comes from this work, then I am not particularly happy. But, of course, we are very happy about the publication itself." In order to submit that manuscript for publication, Fouchier had to comply with the Dutch government's demand that he first get a special permit that's normally used for the export of technology that could be used for weapons. He did so--under protest. Fouchier says there were two moments when he realized that his bird flu research was going to be a really big deal. The first was last July. That's when he learned that an experiment in his lab had worked. His team had managed to genetically alter the bird flu virus H5N1 so that the viruses were able to spread from ferret to ferret through coughs and sneezes. Ferrets are the lab stand-in for people. "This is really a scientific breakthrough — a fundamental scientific breakthrough. And it really opens enormous new opportunities in science. So that's exciting," says Fouchier. The study shows that just a handful of mutations could transform this virus into a pandemic threat. And that's important to know, because it could happen out in nature. 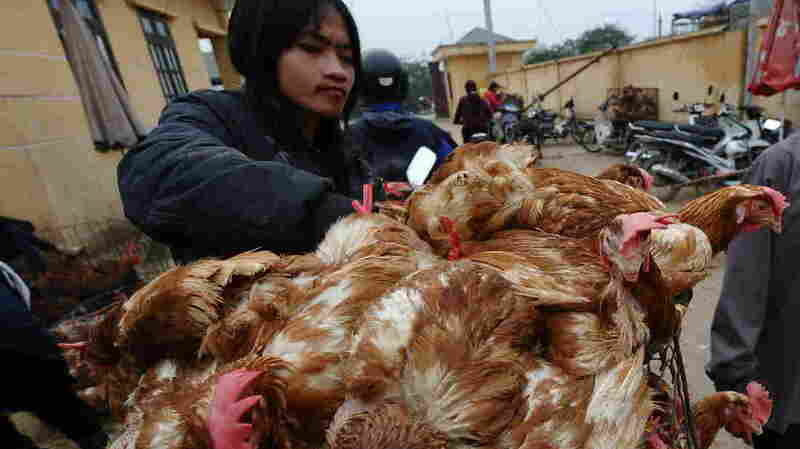 For years, H5N1 has been circulating in poultry overseas, in parts of Asia and the Middle East. Only about 600 hundred people are known to have gotten sick, but over half died. They were not contagious. Fouchier says understanding the mutations that could let this virus start spreading is essential to prepare for a possible pandemic. "We are not playing with viruses just for the heck of it," says Fouchier. "We are doing fundamental research, to prevent public health threats." Fouchier's second moment of realizing how big this was going to be came last November. His work was funded by the U. S. government, and officials here asked an advisory committee to review his unpublished manuscript on his work and weigh in on whether publishing it could be dangerous. "At that stage we were confident that they would agree with us that the benefits of this work by far outweighed the risks," says Fouchier. "And when they came with their advice, we were simply shocked." The advice was to keep the details under wraps — that publishing them would be like handing out the recipe for a super-flu. This recommendation was unprecedented in basic biological research, which has a tradition of openness. The committee wanted the full information shared only with public health officials and scientists around the world who had a real need to know. And officials tried to set up such a system. But legal issues including export controls made that impossible, at least in the short term. That's one reason why, when the advisory committee was asked to reconsider the issue, a majority reconsidered and said to go ahead and publish. One committee member who didn't change his mind is David Relman, a microbiologist at Stanford University. He still thinks it's a bad idea to publicly reveal the mutations that can make this virus go airborne. "What they have done is taken a very worrisome virus and made it even more worrisome, to a degree that is not easily matched in nature or even in our imaginations," says Relman. Relman doesn't think he's exaggerating the potential danger. He acknowledges that, in theory, this work has benefits. He just thinks they're unlikely to come in the near term and that they're outweighed by the risks — not just the threat of bioterrorism, but also simple lab accidents that could let a mutant flu escape. "The bottom line is, that with the information in this paper, it becomes much easier for someone to make this virus, and therefore pose risks to others," says Relman. Government officials are now grappling with how to manage future experiments that might raise similar concerns. The goal is to prevent a repeat of this controversy, while also making sure that beneficial research isn't stifled. The bottom line is, that with the information in this paper, it becomes much easier for someone to make this virus, and therefore pose risks to others. The problem isn't new. It's called the dual-use dilemma, and it's been discussed for over a decade, even before the anthrax attacks of 2001 heightened concerns about bioterrorism. "Dual-use research in the life sciences really refers to biological research which is intended for good and beneficial use, but which could potentially be misused for harm," says Carrie Wolinetz of the Association of American Universities. She thinks the government's new dual-use research policy, released at the end of March, was put together in haste to respond to the public outcry over the bird flu work. "It does represent a knee-jerk policy response to a situation that was playing out in a very high profile way," she says. The policy covers only government-funded research with 15 high-risk germs and toxins. Before certain kinds of experiments can be done, the risks and benefits need to be analyzed and steps have to be taken to minimize risks. But Wolinetz says the four-page policy is vague. Plus, its limited list of germs means it wouldn't have caught some past experiments that raised concerns, like one that made polio virus from scratch and a mousepox study that showed how to potentially make smallpox even more dangerous. "If you look at those famous case studies of dual-use research, none of them would actually be captured by this current policy," says Wolinetz, "which to me raises the question of whether or not this policy really addresses the problem that we're trying to solve." Plus, the policy says some work might get classified or just halted. Wolinetz says that could stifle important beneficial research. Government agencies are still hammering out how to implement the policy. "The government policy on dual-use research of concern, which will become the official policy, is still somewhat of a work in progress, though much progress has been made over the past few months," says Anthony Fauci, head of the National Institute of Allergy and Infectious Diseases, which funded the controversial bird flu research. Meanwhile, flu researchers like Fouchier don't know how to move forward and are unclear on what the policy will mean in practice. For example, he says one thing the new policy requires is "a risk mitigation plan." "How far do we have to reduce hypothetical or real risks?" asks Fouchier. "Do we have to reduce that to zero? Because zero is impossible, then you might as well just kill all this research altogether." He says he thinks the government is struggling to find the right balance. "Whatever concerns there are in the U. S., they are for real and we need to handle that appropriately," says Fouchier, "but we are not having enough guidance as to what 'appropriate' means here." Since January, he and other top virologists around the world have voluntarily halted their work with mutant H5N1 bird flu that could be transmitted though the air — in part because they've been waiting for that guidance. Fouchier hopes more details will emerge at a meeting of influenza researchers in New York next month.